Full Circle Family Medicine is the practice of James W. McNabb, MD, FAAFP with Ann Cowen, AGNP. Our goal is to provide full service, high quality, personalized medical care, with exceptional outcomes to you and all members of your family. We endeavor to engage each person as an active participant in his or her own health through collaboration and shared decision-making. Our office serves as the center of our patient’s healthcare. We thank you for allowing us the privilege to earn your trust! Our name, Full Circle Family Medicine, reflects Dr. McNabb’s professional journey from starting private practice in Mooresville in 1985, to transitioning into medical teaching from 1993 – 2000 and finally returning to private practice in 2001. After moving across the country to Wyoming, Arizona, and back to North Carolina, the office is now adjacent to the original practice started over 33 years ago. The name, Full Circle, encompasses our philosophy of caring for all members of your family and all medical conditions that may develop. The energy of the practice is focused on creating positive, therapeutic, and lasting physician-patient relationships. 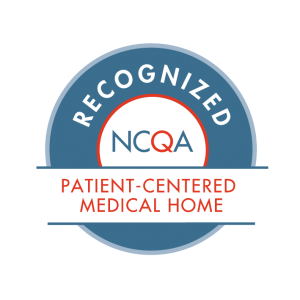 Our goal is to enhance physician and patient satisfaction with the care delivered. All of your medical information is located in one place and coordination of care begins here. Excellent medical care, personalized attention, and use of advanced technologies are the reasons most often given by our patients for choosing Full Circle Family Medicine. 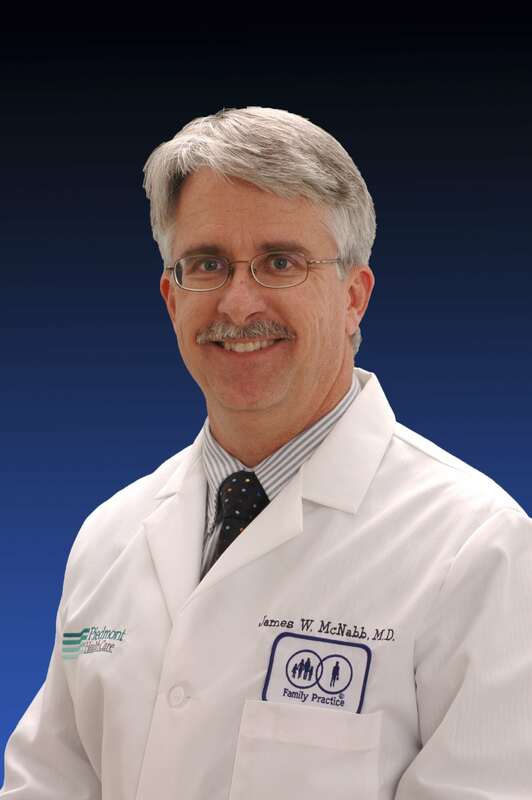 Dr. McNabb is uniquely qualified to provide comprehensive medical care for you and your family. He is a board certified family physician with broad training and over 33 years of experience providing and teaching Family Medicine. Dr. McNabb enjoys all aspects of medical practice including cosmetic medicine, office surgical procedures, and providing longitudinal health care for generations of patients. His special interests include Dermatology and Sports Medicine. He actively teaches for an number of medical organizations and is Adjunct Associate Professor for the University of North Carolina at Chapel Hill. We take pride in meeting the needs of patients of all ages and all aspects of family medicine. For more information, go to the American Academy of Family Physicians. Expanded and updated for the Third Edition, this practical illustrated guide explains the rationale and step-by-step procedures for joint and soft tissue injections and aspirations. The book enables medical providers to master effective techniques for treating a variety of common skin and musculoskeletal conditions. Full-color illustrations help practitioners identify anatomic landmarks and demonstrate how to perform each technique. This edition covers many alternative techniques and several new procedures, including skin anesthesia, nerve blocks, ultrasound-guided injections, eyelid injections for cysts, nerve blocks for headaches, procedures for the hip, scapula joint injections, and temporomandibular joint procedures. Full Circle Family Medicine is conveniently located near downtown Mooresville. We are directly across the street from the old hospital (now the South Iredell Government Center). Dr. McNabb is a family physician who has a passion for caring for patients with skin disorders. He has had extensive training and experience providing a number of dermatology services and procedures for over 33 years. In addition to clinical practice, Dr. McNabb regularly presents lectures and workshops teaching other physicians about skin conditions, skin cancer, malignant melanoma and performing skin procedures. services including the evaluation of rashes, acne, rosacea, poision ivy, contact dermatitis, eczema, atopic dermatitis, fungal infections, scabies, shingles, psoriasis, molluscum, nail disorders, moles, actinic keratosis, skin cancer screenings and many others. including skin biopsies, skin cancer removals, benign skin lesion removals, mole removals, skin laceration repair, minimal incision removal of cysts/lipomas, cryosurgery, electrosurgery and wart removal. using our advanced Ellman Surgitron Dual RF™ S5 unit for diagnostic, therapeutic and cosmetic removal of skin lesions. services are available following a personal consultation. A plan of treatment will be developed based on your needs, goals and budget. Our services include removal of moles and other unsightly skin lesions with our advanced Ellman Surgitron Dual RF™ S5 unit. 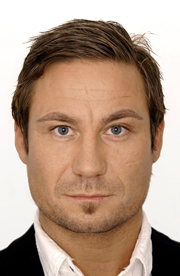 We are able to minimize dynamic facial wrinkles using BOTOX® Cosmetic. 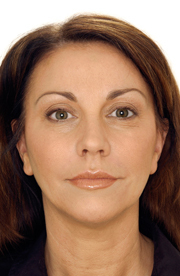 Static wrinkles can be filled and lips enhanced using skin fillers including Restylane®. 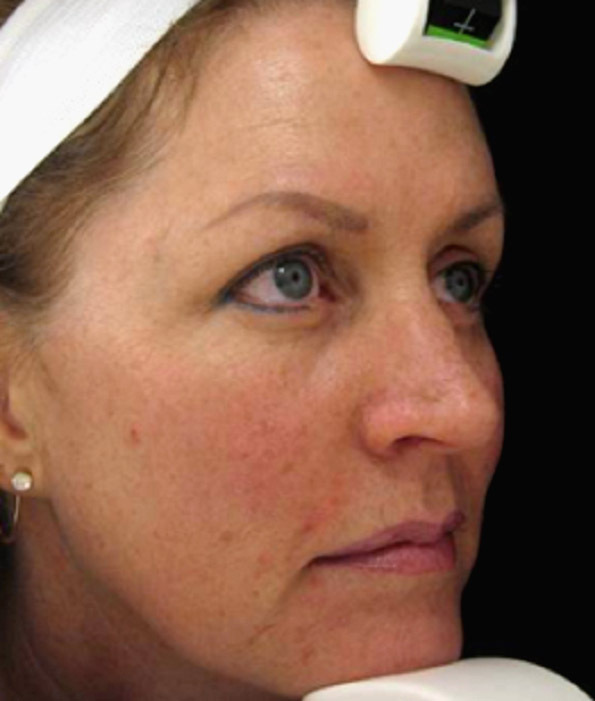 We also administer Photodynamic Therapy using Levulan® for treatment of acne, rosacea and actinic keratosis. Glycolic peels are available for gentler treatments, acne, or used to maintain the improvement from our lasers. Dr. McNabb offers Laser and Intelligent Pulsed Light (IPL) treatments with our state of the art Cutera platform! This unit allows us to treat a wide variety of conditions with different lasers and IPLs. These include the Pearl Laser for skin resurfacing, ProWave for removal of unwanted hair, LimeLight for redness/age spots, Laser Genesis for scars, rosacea, background redness, uneven texture & large pores and the CoolGlide Nd:YAG 1064 Laser for the treatment of unsightly spider veins. We offer the SkinPen®. This a minimally invasive, in-office, skin rejuvenation treatment that improves fine lines, wrinkles, acne scars, hyperpigmentation, stretch marks and other conditions by stimulating your skin’s natural ability to repair itself. If you are interested in any of our cosmetic services, please print and complete our cosmetic consultation form. Then, make an appointment for a personal consultation. Most insurance companies do not consider cosmetic procedures to be medically necessary treatments. Therefore, patients are responsible for making payments for these services. BOTOX® Cosmetic is a simple, nonsurgical, physician-administered treatment that can temporarily smooth moderate to severe facial lines and wrinkles. It is the only treatment of its type approved by the Food and Drug Administration (FDA). BOTOX® Cosmetic is a purified protein produced by the Clostridium botulinum bacterium, which reduces the activity of the muscles that cause those frown lines between the brows to form over time. After treatment you may look in the mirror and see a marked improvement in the moderate to severe treated wrinkle lines. But, BOTOX® Cosmetic will not radically change your facial appearance. You can still frown or look surprised – without the unwanted wrinkles and creases. There are now many innovative cosmetic and medical uses for BOTOX® Cosmetic, including not only frown lines and “crow’s feet” around the eyes, but also “smoker’s lips” and “turkey neck” as well as excessive sweating (hyperhidrosis) and migraine headaches. The skin conditions for which BOTOX® Cosmetic still works best are in the upper third of the face – frown lines between the eyebrows, horizontal bands of wrinkles across the forehead and crow’s feet at the corners of the eye. But now, it can be also used to soften or erase lines around the mouth, to sculpt the face by raising one or both eyebrows, as well as to smooth vertical and horizontal neck lines. Tiny injections into certain oral muscles can safely prevent the mouth from creasing the skin and forming the deep vertical lines caused by habitual over-pursing. Fleshy folds or bands across the chin and neck are also treatable with BOTOX® Cosmetic by relaxing the platysmal (neck) muscles. Previously, the only way to treat the “turkey neck” on aging patients was to perform invasive scalpel surgery. The beauty of a BOTOX® Cosmetic treatment is that it’s a simple, 10-minute, non-surgical process. A few tiny injections, and within days there can be a noticeable improvement in the moderate to severe frown lines between the brows that can last up to 4 months. Results may vary. And there’s no recovery time. You can even do it on your lunch break. Dr. McNabb will administer several tiny injections of BOTOX® Cosmetic directly into the muscles that cause those moderate to severe lines and wrinkles. He will determine where to administer the injections by examining your ability to move certain facial muscles. The location, size, and use of the muscles that create lines and wrinkles vary markedly among individuals. No anesthesia is required, although we may choose to numb the area with a cold pack prior to injecting. Discomfort is usually minimal and brief. You can expect to be in and out of the physician’s office without any downtime. You may see a marked improvement in the moderate to severe lines and wrinkles within days. Improvement may continue for as long as a month, and could last up to 4 months. After treatment, you must remain upright for the next 6 hours. Keep your head as erect as possible during this time and avoid bending down. Also, for 6 hours after treatment: do not rub the injection sites, do not exercise, do not drink alcohol, do not wear a hat or a headband and do not wash or style your hair. Work the treated areas by wrinkling the forehead or frowning for 5 minutes out of every hour for the next 4 hours. Immediately after your treatment, you may notice temporary redness and swelling at the injection sites. These effects typically disappear in less than 7 days. Cold compresses may be used immediately after your treatment to reduce swelling. If the inconvenience continues beyond 2-3 days or if other reactions occur, call us immediately at 704-663-5056. The most common side effects of Botox Cosmetic® include headache, nausea, flu-like symptoms, and redness and pain at the injection points. Infrequently, patients may experience muscle weakness or drooping of the upper eyelid muscles. This side effect usually resolves itself within days, or in rare cases, months after the procedure. It takes 3 – 7 days for the full effect of Botox Cosmetic® to be achieved. 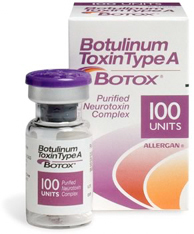 The unique nature of Botox Cosmetic® delivers results that generally last for about 3-4 months. Best of all, the effect tends to last longer with repeated use. One week prior to your next treatment with Botox Cosmetic®, avoid taking aspirin, other non-steroidal anti-inflammatory medications (such as ibuprofen, Motrin and Aleve), Vitamin E, fish oil and St. John’s Wort. These agents may increase bruising and bleeding at the injection sites. Glycolic peels are a safe and proven method for revitalizing a patient’s appearance and boosting self confidence. 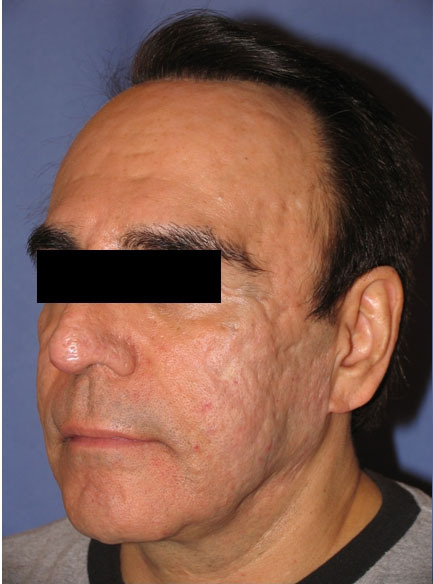 The combination of chemical peeling with other rejuvenating techniques is an ideal approach for patients who want to proactively combat the early signs of aging and maintain their attractive looks. The chemical peel is one of the oldest cosmetic procedures in the world, and was performed in ancient Egypt, Greece, and Rome to help people achieve smoother, more beautiful skin. The solution that we use for light chemical peels is comprised of glycolic acid – an organic alphahydroxy acid extracted from sugar cane. A glycolic peel is a non-invasive treatment that removes the upper layers of dead and damaged skin so that a new, smooth layer of skin is revealed. The action of the chemical solution stimulates the production of elastin and collagen, essential components of healthy, youthful skin. Typically administered as a facial peel, it is an effective treatment for fine lines, chronic dry skin, uneven pigmentation and acne. Good candidates for light chemical peels are patients who have relatively mild skin imperfections and conditions, and who want to rejuvenate and enhance the appearance of their skin without the recovery time of harsher treatments. We also use peels to enhance and prolong the effect of many of our other cosmetic services. Glycolic acid peels are a safe and effective way to improve the look of sun-damaged skin, and they are helpful in reducing mild acne scars and fine lines. Because these light chemical peels exfoliate the surface of the skin and unclog pores, they are also considered an effective type of chemical peel for acne treatment. We use a specific glycolic formula based on the characteristics of your skin and your desired result. In preparation for a light chemical peel, the patient’s skin is first gently cleansed. Then the chemical solution is applied to the targeted areas for a relatively short period of time. 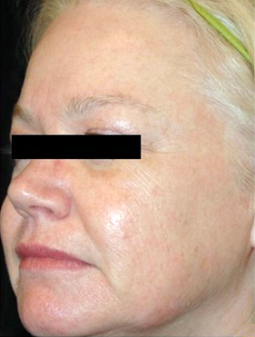 An anesthetic is not needed for glycolic peels. As the chemical solution works on the skin, the patient will typically feel a warm tingling or stinging sensation. After the chemical solution has been on the skin for the prescribed amount of time, the treated area will be neutralized and then washed. Finally, we apply a soothing lotion. 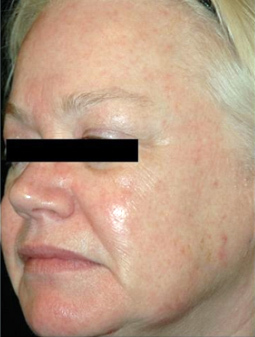 The entire process of a glycolic peel usually takes a few minutes, and the patient typically can expect to return to daily activities immediately. With light peels, relatively mild side effects such as redness and stinging usually subside shortly after the treatment. Chemical peels rarely result in serious complications, but certain risks do exist. These risks include scarring, infection, swelling, changes in skin tone, and cold sore outbreaks. Side-effects are rare with our glycolic formulations. Are Multiple Glycolic Peels Needed? Unlike deep chemical peels, which require only one session, patients generally undergo six glycolic peels to achieve optimal results. Just as the formulation of the light chemical peel solution is customized for each patient, the number and spacing of the treatments varies according to individualized treatment plan for each patient. Lower-strength glycolic solutions are available mixed with a facial wash as part of a daily skin-care routine. Please ask to to learn more about the ideal treatment for your particular skin enhancement needs. Our Cutera CoolGlide Nd:YAG 1064 nm laser treatments effectively treat spider veins on the face and in the legs. This laser is ideal for spider veins measuring less than 2 mm in diameter. The laser we use is very powerful and accurate. By adjusting the laser settings, we are able to minimize the effect on the skin and maximize the treatment of the spider veins. During a treatment, the laser is used to create pulses of very bright light aimed at the veins. These pulses of light, coagulate blood and seal off small veins. The treated veins often immediately disappear, others slowly fade. CoolGlide laser treatment is more appealing to most patients because it does not use needles or incisions. To minimize any discomfort, our laser has a cooling system built in to the hand-piece that helps to dramatically reduce the discomfort associated with spider vein treatment. The smaller the spider vein, the less discomfort you will feel. Our laser treatments are scheduled in 15 minute increments based on the number of veins that need to be treated. Depending on the severity of the veins, 1 to 3 treatments are generally needed to make the spider veins disappear. Patients should be able to return to normal activity right after treatment. 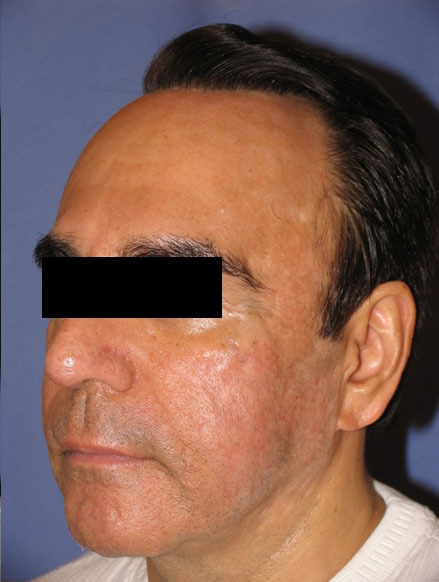 Levulan® Photodynamic Therapy (PDT) using Levulan® Kerastick Topical Solution followed by light activation is FDA approved for the treatment of minimally to moderately thick Actinic Keratoses(Grade 1 or 2) of the face or scalp. It is also frequently used to treat acne, but is not yet FDA approved for this condition. How does Levulan® PDT work? When Levulan® Kerastick Topical Solution is applied to Grade 1 or 2 AKs, the solution is absorbed by the AK cells where it is converted to a medication that makes the cells extremely sensitive to light. When the AK cells are exposed to light of appropriate wavelength and intensity, the medication is activated causing reactions which destroy the abnormal cells. The first step in the Levulan® PDT System is the application of the Levulan® Kerastick Topical Solution, 20% to the individual AKs on your face or scalp. This solution is an acid that occurs naturally in your body. It makes the AKs more sensitive to light. This application prepares the AKs for step 2 in the treatment. Next, you will be instructed to wait 1 hour to allow the solution to penetrate the abnormal AK. After your incubation period, you will receive a Cutera LimeLight treatment, which consists of a series of intense pulsed light applications covering the treatment area. This step usually takes about 20 minutes to complete. Following Levulan® Photodynamic Therapy (PDT), you may experience sensations of tingling, stinging, prickling or burning of the treated AKs. These feelings of discomfort should improve at the end of the treatment and should subside within 24 hours. Following treatment, the AKs and to some degree the surrounding skin may redden, and swelling and scaling may also occur. However, these effects are temporary and should completely resolve by 4 weeks after treatment. Many of the patients participating in the studies experienced 75-100% clearance of Grade 1 or 2 AKs eight weeks after treatment with Levulan® PDT treatment. Based on the combined results of two medical studies, 94% of patients treated with Levulan® PDT rated the cosmetic response as good to excellent. Additionally, no scarring was reported during the medical studies. The most common side effects experienced by patients in these medical studies included scaling/crusting, hypo/hyper-pigmentation, itching, stinging, and/or burning, redness and swelling. Severe stinging and/or burning at one or more lesions being treated was reported by at least 50% of patients at some time during treatment. Patients must avoid exposure of the photosensitive treatment sites to sunlight or bright indoor light prior to and at least 24 hours after this treatment. Exposure may result in a stinging and/or burning sensation and may cause erythema or edema of the lesions. Sunscreens will not protect against photosensitivity reactions caused by visible light. You MUST remain out of all direct and indirect sunlight for the next 24 hours. Use > SPF 30 sunscreen for the next 2 days. Skin protection from ultraviolet light is recommended through a combination of avoidance to direct sunlight during the mid-day, tanning bed avoidance, use of protective clothing and consistent use of a sunscreen with SPF > 30 that blocks both UVA and UVB light. Return for a repeat Levulan® Photodynamic Therapy treatment session in 1 month. Please call my office at 704-663-5056 if you have increased pain, drainage, severe redness or fever, increased itching, the appearance of a cold sore, blister or a similar tingling sensation, or if at any time you feel that you are not healing normally. The Pearl procedure is a “Thermal Peel” laser treatment that reduces wrinkles, uneven texture and sun damage. It does this with fewer treatments, less expense, reduced discomfort and decreased overall downtime than other laser procedures including CO2, Erbium and Fraxel®. 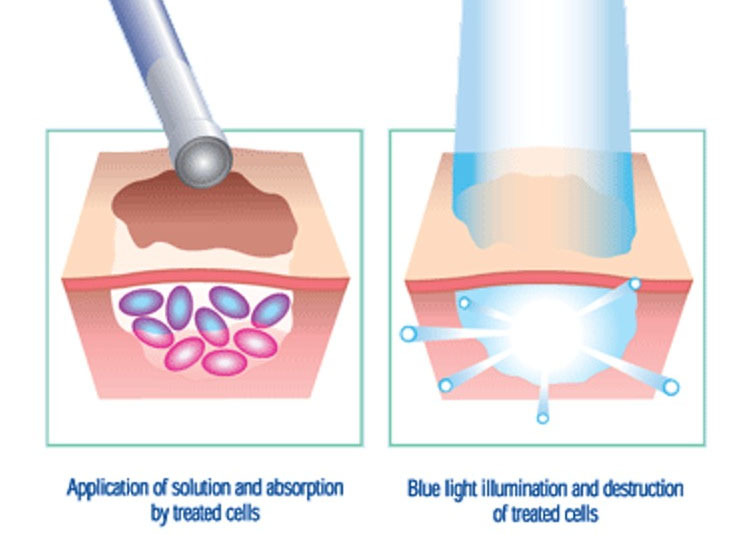 During treatment, a portion of the epidermis (shown in blue) is vaporized. 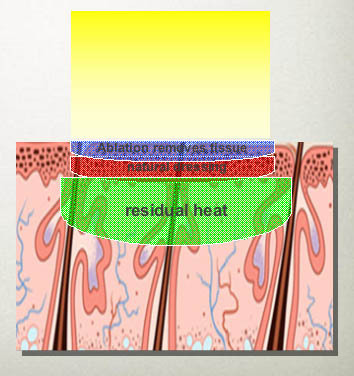 There is a simultaneous thermal effect to part of the remaining epidermis at a controlled depth (shown in red). This creates a natural protective dressing on the skin to minimize “social” downtime during the restorative process. Finally, the deeper layer (in green) is heated which acts to stimulate collagen and thus thickens aging and damaged skin. The Pearl laser is guided over the skin, removing the top layer of the epidermis and heating the layer of tissue below the epidermis. The treatment takes approximately 20-30 minutes for a full face. On a pain scale of 1 to 10, most people report the treatment feeling like a 2 or 3. After treatment, the skin will look like it is sunburned. The skin will need to be kept moist using a product such as Aquaphor. Around day 4, thermally damaged epidermal tissue will peel off leaving fresh, new, healthy skin underneath. Additional improvement will occur over the next month. Most patients will choose a Pearl treatment because it significantly improves the skin’s texture and pigmentation and minimizes wrinkles, without clinical downtime. Patients of any age who are looking for an aggressive treatment of sun-damaged skin including facial lines, discoloration and rough texture on the face, neck, upper chest and hands. Many patients experience excellent results after one treatment. Others may want a second (or rarely a third) treatment for best results. Restylane® is an injectable gel that is made from a basic element in connective skin tissue, hyaluronic acid. Injections, administered by a trained physician enhance your natural looks by restoring your skin’s volume, creating softness and revitalizing your appearance. Restylane® gels work by enhancing your skin’s own stocks of hyaluronic acid, directly adding volume to either soften the signs of aging or enhance your features. 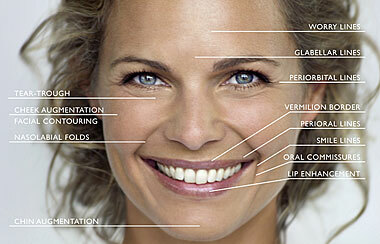 One of the great advantages of Restylane® is that the effects are long lasting but not permanent. You are always in control of your looks. Restylane® restores volume, improves skin elasticity, and smooths lines and imperfections. It can instantly soften telltale aging lines or improve your looks by enhancing your natural features, such as your cheeks or lips. Restylane® treatments can be used to smooth out facial lines, create fuller lips and shape facial contours, such as cheeks and chin. It is a subtle approach to enhancing looks naturally. Restylane® is injected into the skin in small amounts using a very small needle. The treatment is quick and often takes less than 30 minutes. Some people may experience the treatment as a mild discomfort. A local anesthetic cream is often used. Another form of anesthesia, a dental block, is used to numb the area when enhancing lips. You may experience slight redness, swelling, pain, tenderness, itching and/or bruising following Restylane® treatment. This is the same as you might expect with any type of injection. However, the discomfort is temporary and generally disappears after a few days. The treatment benefits can normally be seen instantly and Restylane® does not affect facial expression. The unique hydrophilic nature of Restylane® delivers results that generally last for about 6 – 12 months. Best of all, because Restylane® binds to the water in your body, its cosmetic effects are maintained until the injected material is nearly gone. One week prior to your next treatment with Restylane®, avoid taking aspirin, other non-steroidal anti-inflammatory medications (such as ibuprofen, Motrin and Aleve), Vitamin E, fish oil and St. John’s Wort. These agents may increase bruising and bleeding at the injection sites. 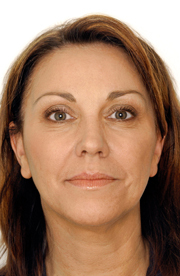 Facial lines and facial shaping: follow-up treatment is usually needed after 6-12 months. Lip enhancement: follow-up treatment is normally needed in about 6 months. Skin rejuvenation and deep hydration: after the initial intense treatment of 3 treatment sessions every 2-3 weeks, follow-up sessions are normally recommended around every 6 months. Duration depends on many factors, such as skin type, lifestyle, age, the degree of perfection demanded by the patient and the injection technique. including sick visits, well child exams, sports physicals, & immunizations. including family planning, contraception management, office gynecology care, Pap smears/pelvic exams and Gardasil vaccine. for all ages. This includes Medicare Annual Wellness Visits with the development of a Personalized Prevention Plan. personal, school, sports, camp, employment, and executive physicals. including allergies, sinusitis, bronchitis, ear infections, sore throat, headache, chest pain, abdominal pain, urinary tract infections, hemorrhoids, back pain, joint pain, tendonitis, bursitis, skin rashes and many others. including diabetes, high blood pressure, heart disease, high cholesterol, ADHD, arthritis, allergies, asthma, chronic lung disease, osteoarthritis, osteoporosis and many others. We also participate in Medicare Chronic Care Management services. This enhanced benefit provides non-face-to-face care and occurs in addition to usual office visits. for diagnostic, therapeutic and cosmetic removal of skin lesions. of skin lesions using direct application and spraying of liquid nitrogen. of broken bones and sprains. of painful joints, tendonitis, bursitis and heel spurs. for treatment of knee osteoarthritis. for treatment of low testosterone levels in men. including skin biopsies, skin surgeries, skin cancer removals, benign skin lesion removals, mole removals, skin laceration repair, minimal incision removal of cysts/lipomas, cryosurgery, electrosurgery, and wart removal. Our cosmetic services are available following a personal consultation. A plan of treatment will be developed based on your needs, goals and budget. Our services include removal of moles and other unsightly skin lesions with our advanced Ellman Surgitron Dual RF™ S5 unit. 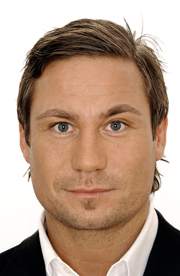 We are able to minimize dynamic facial wrinkles using BOTOX® Cosmetic. Static wrinkles can be filled and lips enhanced using skin fillers including Juvéderm™, Restylane® and Perlane®. 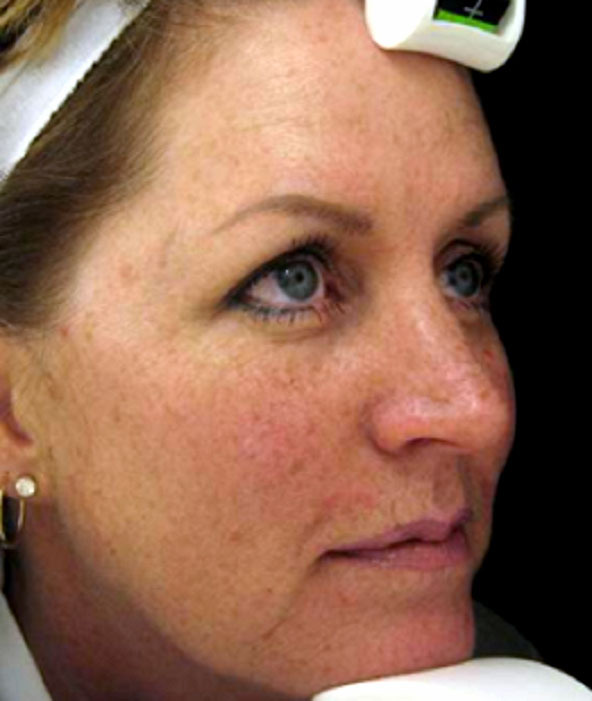 We also administer Photodynamic Therapy using Levulan® for treatment of acne, rosacea and actinic keratosis. Glycolic peelsare available for gentler treatments, acne, or used to maintain the improvement from our lasers. In addition to medical evaluation and treatment, we also offer a full line of diagnostic services in our office. These include: blood and urine laboratory testing, EKGs, 24 hour cardiac Holter monitoring, cardiac event monitoring, diagnostic ultrasound, allergy skin testing, pulmonary function testing, hearing screening, and vision screening.  Other services are available locally through Piedmont HealthCare at a minimum of expense to our patients. These include radiology services, stress tests, echocardiograms, CT scans, MRI scans, DEXA bone density scans, mammograms, colonoscopy, and others. Outside of usual office hours you have several medical care options. If you have a medical emergency – call 911 or go to the nearest hospital emergency room immediately! Should your condition be urgent and you believe that it requires treatment with a prescription medication, then you may either go to Piedmont HealthCare – Express Care, or go to a hospital emergency room. If your condition can wait until the next business day, then please call our office at (704) 663-5056. We make every effort to see our patients on the day that we are contacted. To schedule an appointment, phone us at (704)i663-5056. Please give us as much information as possible in order to schedule your appointment correctly. We appreciate you notifying us if you cannot make your appointment so that we can give that time to another patient. If you need to reschedule or cancel an appointment, you must call our office 2 hours in advance of your appointment time. If you are going to be more than 15 minutes late, we may have to reschedule so that your delay does not interfere with patients who arrive on time. We reserve the right to terminate our relationship as a result of repeated missed appointments and late cancellations. We want you to refill prescriptions at the time of your doctor”s visit. It is a good idea to bring all of your medications, OTC products, vitamins, minerals, herbs and supplements with you at each visit. Contact your pharmacist or our office at least 48 hours in advance for all prescription refill requests. After regular office hours, you may call and leave a message on our telephone system for prescription refills. Please do not call the doctor after office hours for refills. During regular business days, we call the pharmacies once or twice a day and refill the approved requests we have received. Don’t phone us to see if the prescription has been called. Contact your pharmacist if necessary. It is important that you plan ahead so that no interruptions occur in taking your regularly scheduled medications. After hours, on holidays and weekends, your pharmacist is able, by state law, to refill your medications on an emergency basis for a few days. (This is only for existing noncontrolled prescription medications.) They will call us the next business day for verification of the refill. Please plan ahead and do this only as a last resort. Dr. McNabb no longer admits patients to any hospital. However, we do have existing relationships with hospitalists for our patients admitted to Iredell Memorial Hospital in Statesville and Lake Norman Regional Medical Center in Mooresville. We can also coordinate hospital admissions to Presbyterian Hospital – Huntersville or Charlotte, Carolinas Medical Center, Davis Regional Medical Center, Northeast Medical Center or another hospital of your choice. Our practice participates with almost all area insurance plans. As a courtesy to you, our office staff files your insurance claim with participating managed care plans. Please bring your insurance card with you at each and every office visit. We are required by our contracts with health care plans to collect all co-pays and deductibles at the time of service. If we do not have a contracted arrangement with your insurance plan, you must pay in full at the time of service. If you have a service that is not covered by insurance, like some immunizations, allergy hyposensitization oral drops or cosmetic procedures, this also must be paid in full at the time of your visit. We accept cash, check, Visa or Mastercard. Depending on your insurance plan, you may also receive a separate bill for laboratory testing. Some tests deemed necessary for your care may not be covered by Medicare or your insurance company. If this is the case, you will be informed of the test and the reasons for performing it. You will then be asked to sign a waiver stating the possibility of non-coverage was explained and that you may be billed for the test. 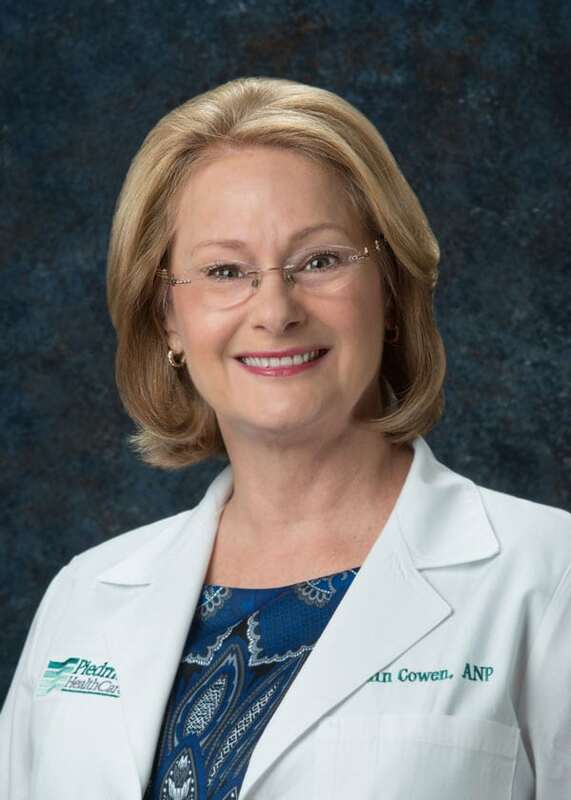 Our nurse practitioner, Ann Cowen, AGNP, CDE jointed our practice in December 2018. She is an experienced provider with a strong interest in geriatric medicine and especially the management of diabetes. Ann is a mature, intelligent, compassionate, and energetic presence in this office and we enjoy the privilege of working with her. On December 12, 2018, fellow Piedmont HealthCare family physician, Emmett Montgomery, MD left our practice for retirement. We miss Dr. Montgomery’s smiling face and wish him the very best as he determines the shape of his retirement from medicine. Check out our Online Housecalls service. This feature gives us the ability to conduct medical visits confidentially and securely – at a time and setting that is convenient for you. It is designed to provide an convenient alternative to in-office medical visits for treatment of common health problems. Dr. McNabb has a passion for teaching the next generation of physicians. He is adjunct faculty at UNC – Chapel Hill. We frequently host medical students from UNC – Chapel Hill, Wake Forest University and East Carolina University in our office. In addition, Dr. McNabb actively teaches outside of the office for several organizations including the American Academy of Family Phyisicians, North Carolina Academy of Family Physicians, National Procedures Institute, and others. Every year since 1999 Dr. McNabb has served as the course director and the primary presenter of a series of seven 3-hour Joint Injections Procedures Workshops at the American Academy of Family Physicians Annual Scientific Assembly Meetings. In 2016, this was held in Orlando, FL. He also presents similar workshops across our state for the North Carolina Academy of Family Physicians. In the last year, Dr. McNabb has presented several 2-day (15.5 hours) Dermatologic Procedures Courses for the National Procedures Institute. These courses held around the country, cover information for physicians including skin anesthesia, biopsies, cryosurgery, radiofrequency & electrosurgery, nail disorders, dermoscopy, benign skin lesions, sun-damaged skin, and skin cancers including basal cell, squamous cell and malignant melanoma. From September 2010 to 2015, Dr. McNabb developed and presented a series of Pri-Med lectures and a webcast on Osteoarthritis of the Knee. In September 2010, he wrote the Cryosurgery chapter for the Pfenninger and Fowlers Procedures for Primary Care Physicians – 3rd edition. In August 2012, Dr. McNabb successfully recertified for the American Board of Family Medicine. In January 2015, Lippincott, Williams and Wilkins released the third edition of Dr. McNabb’s highly acclaimed medical book: A Practical Guide to Joint and Soft Tissue Injections. Expanded and updated for the Third Edition, this practicalillustrated guide explains the rationale and step-by-step procedures for joint and soft tissue injections and aspirations. The book enables medical providers to master effective techniques for treating a variety of common skin and musculoskeletal conditions. Full-color illustrations help practitioners identify anatomic landmarks and demonstrate how to perform each technique. This edition covers many alternative techniques and several new procedures, including skin anesthesia, nerve blocks, ultrasound-guided injections, eyelid injections for cysts, nerve blocks for headaches, procedures for the hip, scapula joint injections, and temporomandibular joint procedures. The first edition of the text was published in October 2004. On October 15, 2005 it was recognized as the first place winner in the physicians category for the American Medical Writers Association Medical Book Awards Competition! For the academic project of his NIPDD fellowship, Dr. McNabb created a website collection of available resources to teach Evidence-Based Medicine curriculum design. This has evolved into a website of useful Family Medicine resources. Please check out: Dr. McNabb’s Medical Bookmarks. Dr. McNabb teaches the Dermatologic Procedures Course for the National Procedures Institute. This 2 day (15.5 hour) course covers benign skin conditions, skin cancer and various surgical skin procedures. Since 1999 he has taught the Joint Injections Procedures Workshops at the American Academy of Family Physicians Annual Scientific Assembly meetings. Other teaching and lecturing engagements on different topics include organizations including the North Carolina Academy of Family Physicians, Pri-Med, various state academies and family medicine residency programs. If your organization would like him to present a program, please send us amessage. 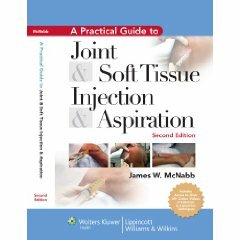 In January 2015, Lippincott, Williams and Wilkins released the third edition of Dr. McNabb’s highly acclaimed medical book: A Practical Guide to Joint and Soft Tissue Injections. Expanded and updated for the Third Edition, this practical illustrated guide explains the rationale and step-by-step procedures for joint and soft tissue injections and aspirations. The book enables medical providers to master effective techniques for treating a variety of common skin and musculoskeletal conditions. Full-color illustrations help practitioners identify anatomic landmarks and demonstrate how to perform each technique. This edition covers many alternative techniques and several new procedures, including skin anesthesia, nerve blocks, ultrasound-guided injections, eyelid injections for cysts, nerve blocks for headaches, procedures for the hip, scapula joint injections, and temporomandibular joint procedures. The first edition of the text was published in October 2004. On October 15, 2005 it was recognized as the first place winner in the physicians category for the American Medical Writers Association Medical Book Awards Competition!